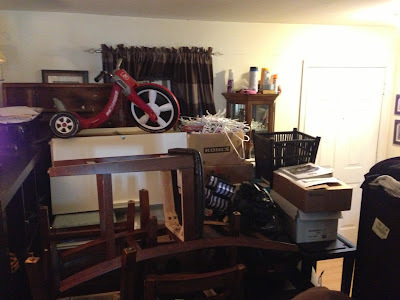 We have begun purchasing items for our new home and have found a lot on Craig's List. 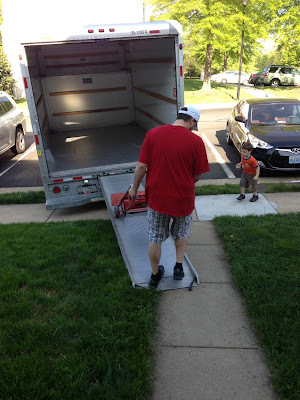 Living in the DC metro area, families are always on the move so you can find furniture in great shape for amazing deals. However in our current townhouse we are all ready have outgrown our space so adding furniture has left us a bit in a heap that must be put into storage. 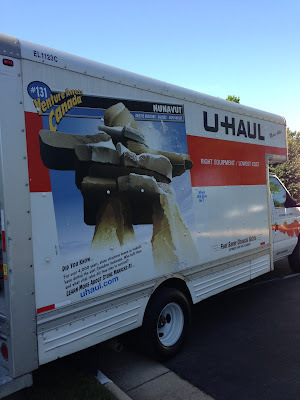 The U-Haul is here ready to be loaded up. Here is just a small part of what needs moved. Our new table for our morning room, wine cabinet, console table, side board cupboard & linger dresser. We found some wonderful deals! 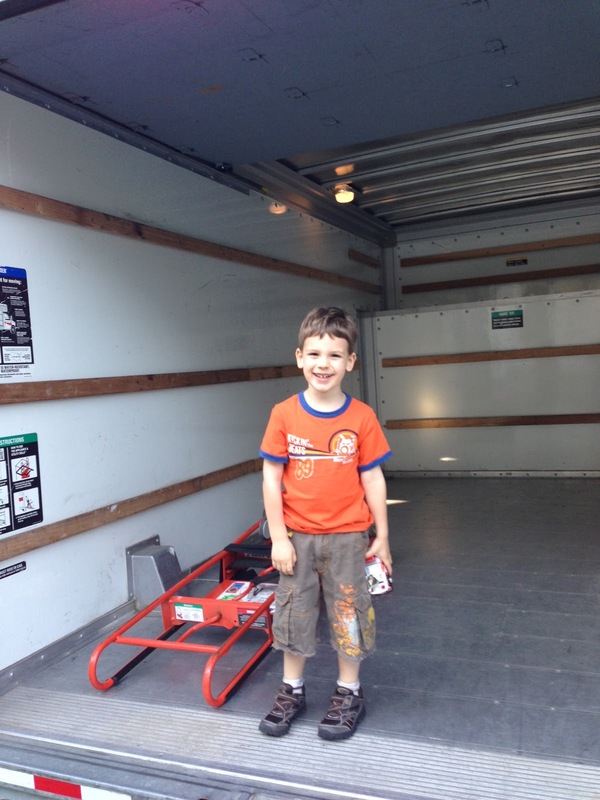 Ayden is ready to help move. Ayden & Daddy driving the van to storage. 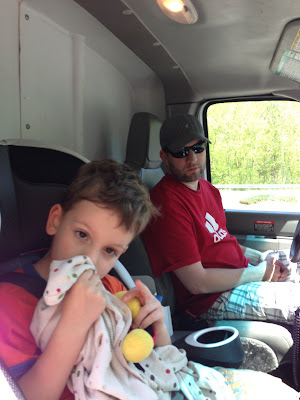 I had planned on getting more pictures at storage of the full van, the unit empty and full and both Andrea and I however once we were there the focus was just getting everything out of the van and into storage, we were all tired and ready for a relaxing evening. We have storage only a few miles from where our new home will be built which will make moving in a bit easier. What a day, now time for rest!